If you're looking for a precise and reliable portable fuelling system, then the Parker 24V Portable Diesel Fuel Transfer Pump Kit with accurate digital flow meter offers an ideal and affordable solution. 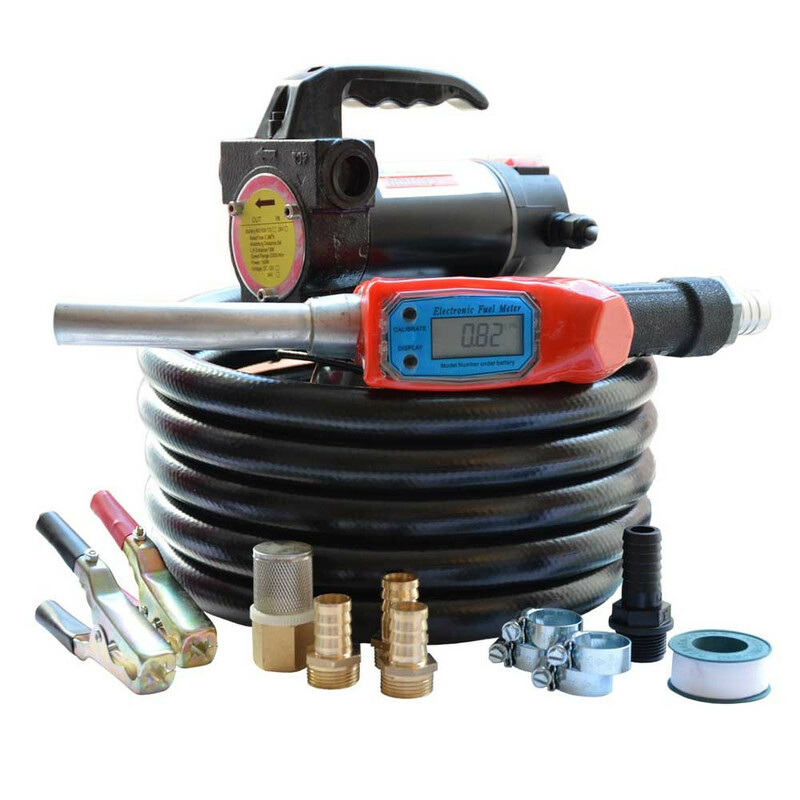 Specially designed for off-site applications where mobility and flexibility are key, our high quality fuel transfer kit comes supplied with a choice of adaptors, a manual dispensing nozzle for added control and a strengthened PVC hose. To use, simply attach to your vehicle's battery using the provided crocodile clips and a enjoy a smooth 55litres per minute while the integrated digital flow meter helps you to monitor your usage. Designed for a host of mobile fuelling applications the Parker fuel transfer kit includes four separate hose adapters for added versatility off-site and a convenient carry handle for easy transportation across various locations. Coming with everything you need to get up and running straight out of the box the Parker 24 volt fuel transfer pump kit is one of our most easy to use and unbeatably priced packages yet!